Maybank Foundation launched the International Deaf Artist Exhibition 2018 at Balai Seni, Menara Maybank on September 24, 2018. Being the first international deaf artist exhibition held in Kuala Lumpur, it showcase the diversity of culture, tradition and heritage. This is a gathering of talented deaf artists from around the world such as Korea, Vietnam, India, France, Italy, Russia and Malaysia. ‘Rentak Seribu Warna’ (Rhythm Of A 1000 Colours) has been carefully selected as the theme to portray interpretations of life, people, culture and local sceneries from various countries. This exhibition also feature a few artists from ‘Nukilan Jiwaku’, a project that aims to aid people with disabilities that has a flair in art to be economically independent. Challenges Media met up with the CEO of Maybank Foundation, Shahril Azuar Jimin who graciously consented to the short interview. 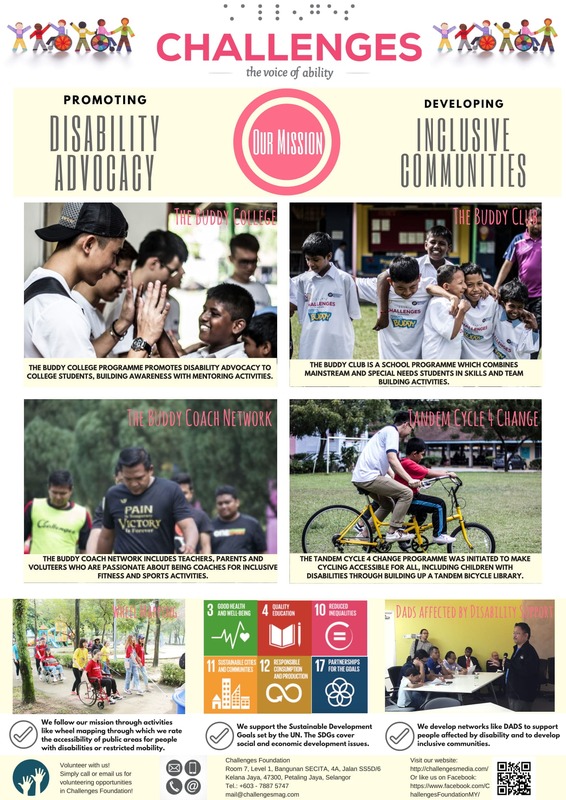 “As the Corporate Responsibility arm of the Maybank Group, Maybank Foundation has a mandate to positively impact communities in the markets where Maybank operates. It’s a big call for us and we focus on 6 key areas; Arts & Cultures pillar being one of it and we have a total of 6 core pillars. The others are Educational, Community Empowerment, Environmental Diversity, Healthy Living and Disaster Relief,” said Shahril Azuar Jimin. “We live in a world that comprises of multi-talented people and we should appreciate each other’s talent. We hope that this exhibition will help to share the skills, talent and beauty of special artists with Malaysians and humanize financial services,” the CEO of Maybank Foundation concluded. The works of art that were showcased were truly amazing. Zulaiha Zukapli, President, Deaf Artist Malaysia who is also a talented homegrown artist, expressed her nostalgic works inspired by nature and sceneries from her childhood, The sound of wind, the flow of water and the chirping of the birds disappeared completely since she lost her hearing at the age of 5. The expressions of her works are based on memories of her childhood which she missed growing up as a normal child. 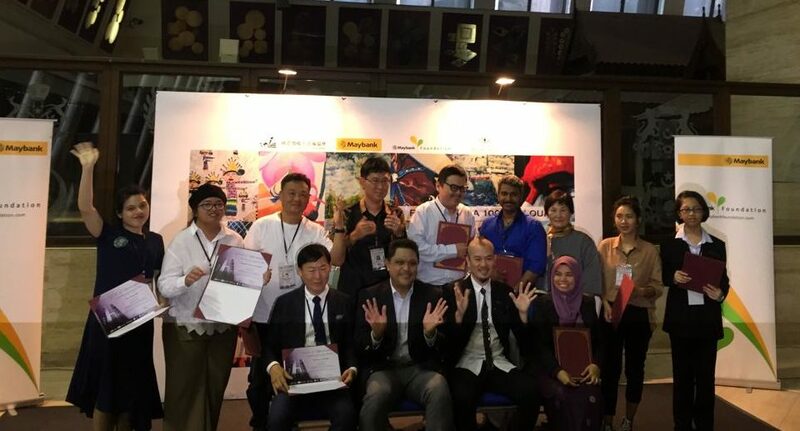 As the Project Manager of this KL World International Deaf Artist Exhibition 2018, the objectives of this exhibition are: to encourage disabled artists to be more brave and confident to showcase their talent; and to create awareness for OKUs not to waste their talents, as they are able to change their fate and standard of living for the better. Zulaiha is also the President of Deaf Artists Malaysia. Her hope is to give a positive impact to all parties, especially the disabled and that the OKUs be given more opportunities in various aspects of development and career participation in exhibitions and engagement in international competitions. The International Deaf Artists Association President, Kim Bong Jin shared that this exhibition which first started in Korea has been ongoing internationally. He has personally done 3 solo exhibits and won 2nd prize at the Korean Art Grand Prix. His fine arts that were showcased, is an expression of his appreciation to nature. Communicating through the interpreter, Rose Ng, he expressed that the sea is where we work and it also provides us the sustenance. He feels the waves as expressed through his works has the strength and how we can also withstand the storm. The painting on the white roses expresses the beauty and his love for nature. Among the exhibits displayed were creative and imaginary expressions of a few special artists from ‘Nukilan Jiwku’ project, which aimed to aid people with disabilities who has a flair in art to be economically independent.